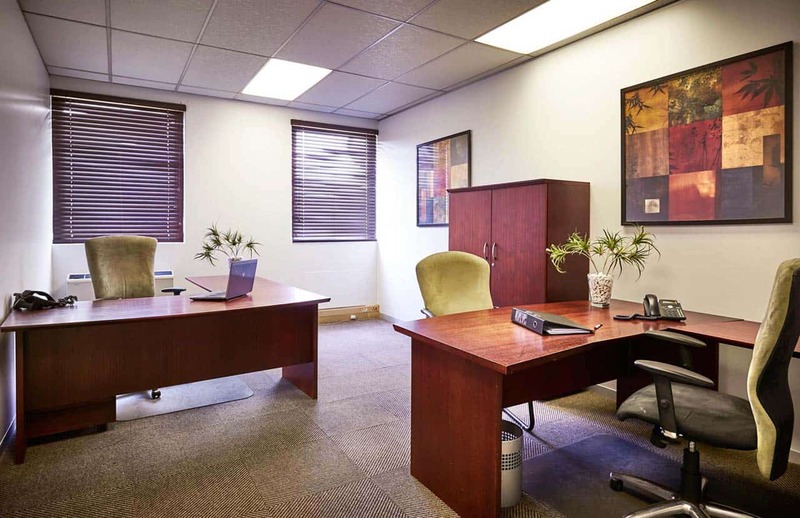 The Workspace Midrand offers modern serviced offices and coworking facilities on flexible, affordable agreements. We’re conveniently located close to both Allandale Road and the Midrand Gautrain Station, and free secure parking is included in all our packages. 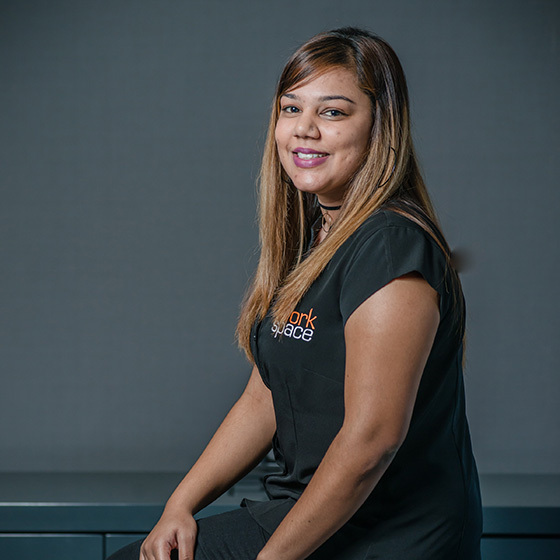 Our friendly staff members provide a full suite of business support services and our clients also enjoy access to free high-speed internet, an on-site canteen and outdoor relaxation area. 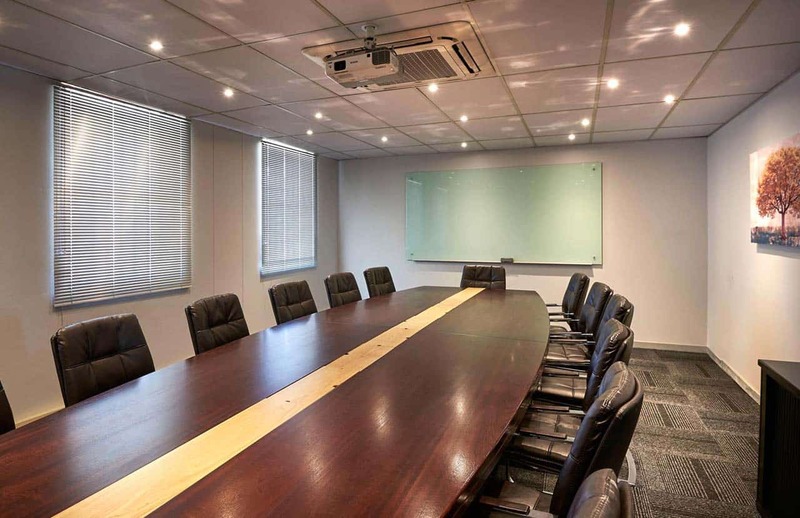 The Workspace offers 55 offices to rent in Midrand ranging in size from single person offices to large open plan units that can accommodate up to 15 desks.  All our offices are furnished and offer free high speed fibre internet connectivity. You’ll also benefit from a weekly cleaning service, and daily emptying of your bins. 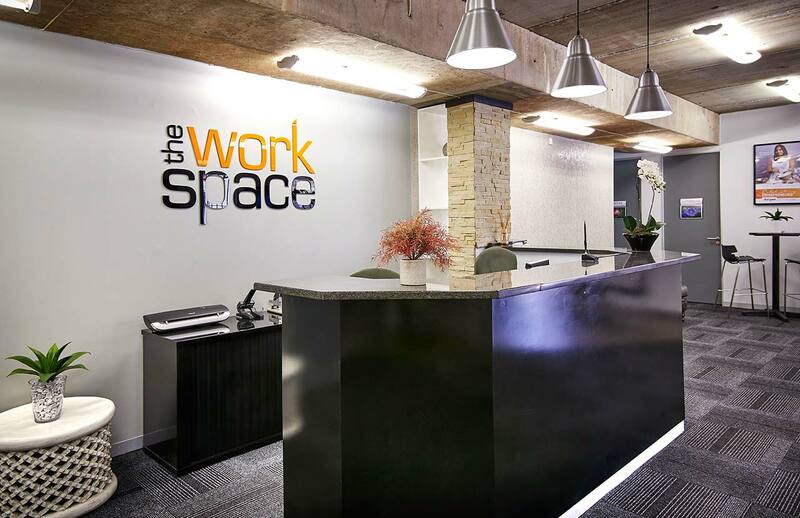 A coworking area is available at The Workspace Midrand offering comfortable seating and high speed internet access. 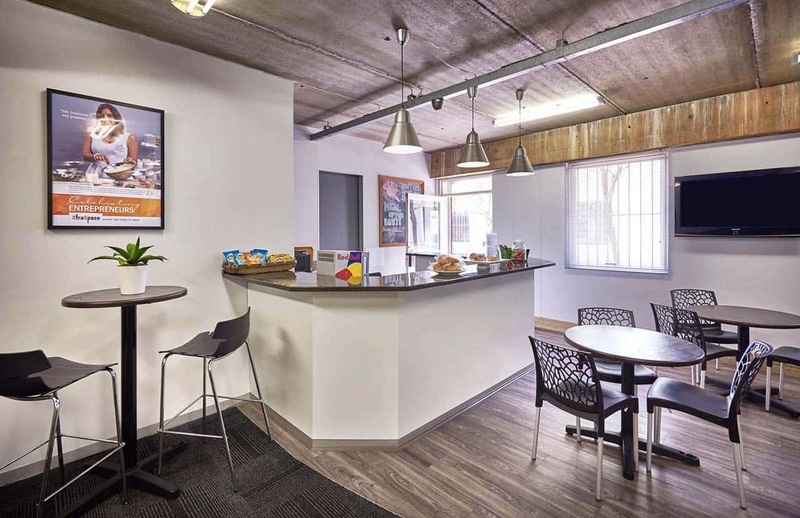 Beverages, light meals and snacks are available at our on-site café and you’ll also have access to our outdoor lapa area for informal meetings or events. Access to adjacent meeting rooms is included in your package, and our boardroom is available for bookings at an hourly rate. Noleen is on top of the game and on the ball. Samantha has been excellent... I came to see her about four months ago and she kept on following up... The Workspace was the obvious place to go. I would also like to take this opportunity to congratulate you as a collective team. You are all amazing...for your entrepreneurs/clients, it [The Workspace] feels like home. Keep it up. We would like to extend our sincere gratitude and appreciation for everything you have done for us throughout our stay in these premises. ... we do not have any complaints but to say Thumbs Up for the way you run your business and would recommend [The Workspace to] anyone that we... meet out there who will be interested in utilizing your premises. Thank you again and hope our paths will cross again in future. A special thank you for hosting us and all the arrangements that went into our event. O wow, it is such a pleasure doing business with you guys. Thank you for the quick response. 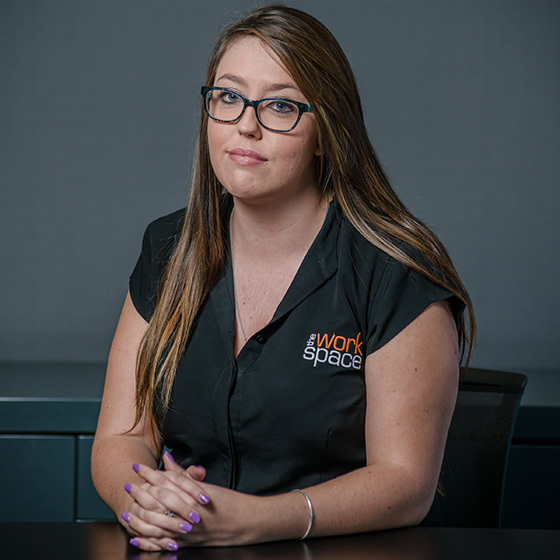 I will gladly recommend The Workspace to any small or medium business. I also commend the way that you personally handle issues. Sam, I wish I had known you long before we leave, your warm personality and that smile……a definite Yes for any company. You’re good with people Sam, no doubt the other people in the offices here share my sentiment. Keep up the good service and God Bless. Thank you so much for the experience of the offices and the greatest hospitality. I would like to thank you for your support during the past year; you have certainly pulled a few bunnies out of a hat for myself and the DGC team.  Your positive attitude and great customer service makes my job easier; thanks so much. Samantha and Noleen have truly impressed me from the start with their warmth, humility, wisdom, good humor and everyday smiles... They effortlessly ensure that all maintenance is kept up to speed without us, as clients, being made aware of any issues. There has never been an instance when the office was left without any basic day-to-day consumables or where security was compromised. My requests (no matter how trivial...) have been met with a smile, a quick discussion on how best they could assist and with immediate action thereafter... As a team, they complement each other to the fullest – and as a client, I have never been more comfortable in an office environment. They constantly ensure that this office functions as a well-oiled machine. It’s truly a pleasure working with these two awesome ladies on a daily basis. Thank you all for being such a wonderful team that always goes out of its way to promptly address... people's concerns and needs. You made the time I spent with your branch very pleasant... please keep up the good work. Your brand should be really proud to have professional people like you!